The pet products review this month at Animal Cafe with FIDO Friendly Magazine’s Carol Bryant looks ahead to Fall. It’s not that far away. You can almost hear the crunch of leaves as we ready our dogs for a virtual walk through the items we discuss on the podcast below. We have eight product picks for you this month, one of which makes walking a more comfortable bug-free event for your dog! But Fall brings with it opportunites for hiking in the woods or forest preserves, watching the leaves change, and if you’re going to walk through the forest for any length of time, you’ve got to be prepared. 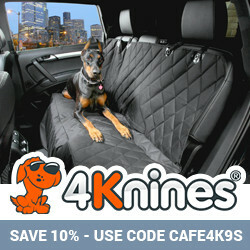 We all think about water and some treats, the best method to carry the items you’ll need to keep your dog comfortable and safe, maybe even taking a leap to think about making it easier and less stressful on your dog to get in and out of your vehicle. I won’t go through each item (there are hints in the podcast description to help you) – you’ll have to listen to the podcast – but the Fall theme lends visions of bales of hay, corn stalks and changing seasons, but also covers a stage of life when pets are getting a little older and begin to need some assistance, like getting in and out of the car easily. Enjoy! This entry was posted in Mary Haight, Pet Products and tagged best pet products, pet products review on September 21, 2011 by Mary Haight. Very informative session! 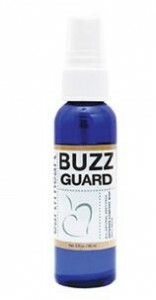 I have friends in WI who have a horrid tick problem and will be telling them about Buzzguard!!! Thanks for all the tips today! !